Back in the 1840s, copper was discovered in South Australia. 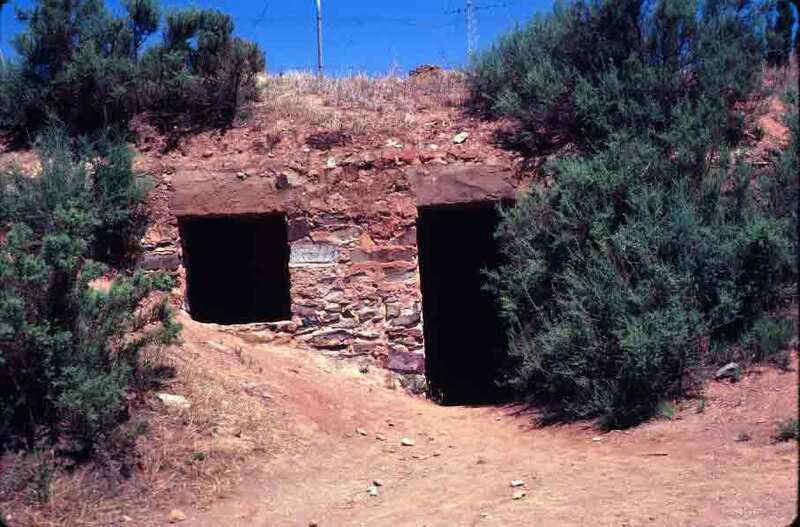 The town of Burra, founded in 1845, became the site of a massive copper mine that, for a few decades, was the most important source of income for the state. Miners, especially from Wales and Cornall in the UK, flocked to Burra. Housing soon became an issue. On the Great Plains in the United States, when there were limited housing materials, people cut pieces of sod and stacked them up to build houses. In Burra, there was no sod. However, there was erosion. Burra Creek had cut down far enough that the banks were steep—and “homes” were simply dug into the steep banks. Some needed the addition of a roof or a few bits of wood to prevent a landslide, but these homes had the advantage of being comparatively cool in a toasty locale, as well as rent free. 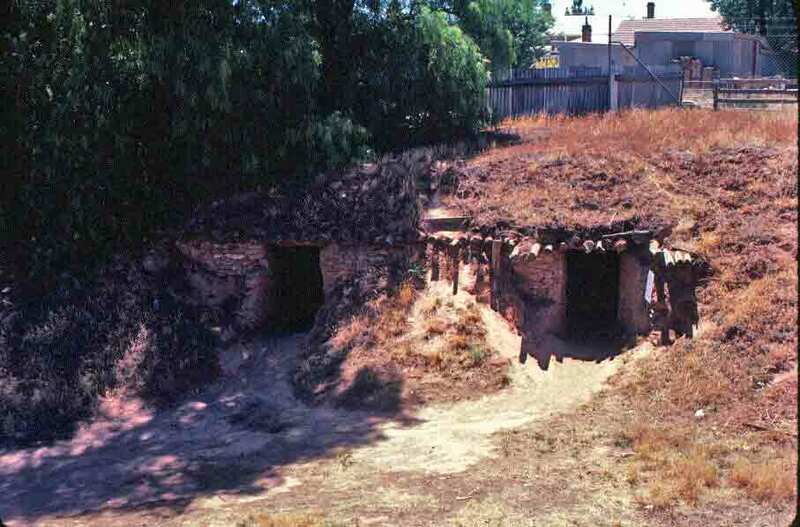 Records of the day showed that nearly 2,000 miners lived in these “dugouts.” Of course, having a couple thousand guys all living in damp quarters and using the creek as their primary source of water meant disease and death were frequent visitors. The dugouts were not the only homes in Burra. There are many charming buildings from the era of mining, including a lot of sturdy, stone cottages that would look familiar to anyone who knows Cornwall. It’s actually a really charming town, with lovely antique shops and many remnants of the past, along with all the necessities of modern life. 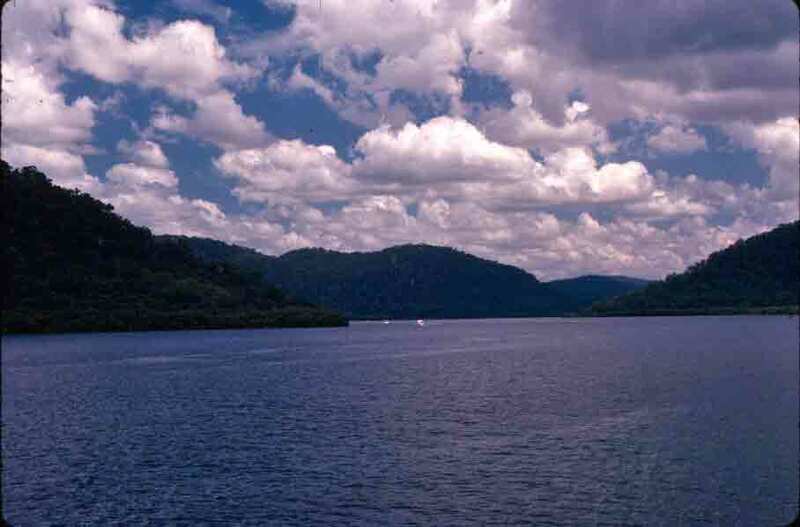 The Murray River is, both historically and economically, the preeminent river in Australia. It would be comparable to the Mississippi River in the United States, as far as being both a key medium of transportation and an important part of the iconography of a region and era. As with the Mississippi, the paddle wheeler was the iconic mode of transportation, important in one age and charmingly preserved in the present. Also like the Mississippi, the Murray both waters and drains a region far greater than that which is in close proximity to its shores. Combined with the tributary Darling River, it constitutes a river system of tremendous economic importance. The Murray-Darling Basin is home to nearly 70 percent of Australia’s irrigated land. The Murray is both shorter than the Mississippi and has a lesser volume of water, but its importance to its homeland is as great or greater. I had departed Sydney and was following the Murray westward. 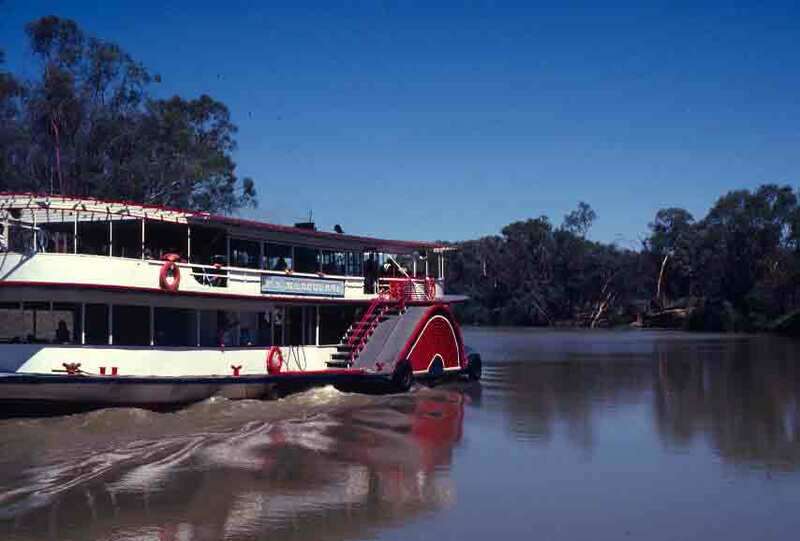 It was outside of Mildura, Victoria, that I saw the paddle wheeler below. It was a lovely reminder of how both Australia and the United States did much of their growing up around the same time. 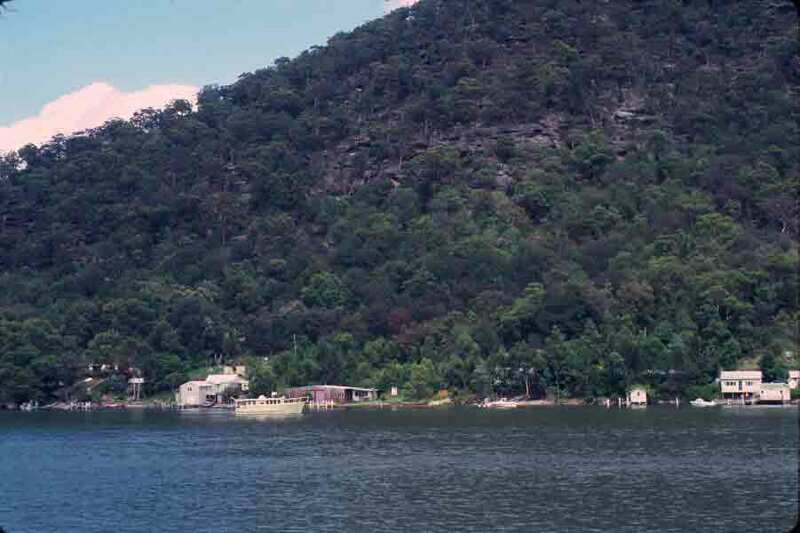 Traveling north out of Sydney, one finds the handsome, tree-covered slopes of Kuring-Gai Chase National Park before too long giving way to the splendid Hawkesbury River. Cutting through the sandstone of the Great Dividing Range, the river winds between cliffs and islands, all of which are impressively green. It is a splendid spot. People come up to the Hawkesbury for oysters, as the beds here produce abundantly. They come for the scenery, the charming towns, and the artisans and their shops. Some of us arrive, as well, for the opportunity to travel with Australia’s last Riverboat Postman. Because the river cuts through such precipitous terrain, there is no likelihood that this region will ever be reached by roads. In some places, sandstone walls rise almost straight up behind the houses and small settlements perched along the river’s edge. And so the mail arrives by boat. Fortunately, one does not have to pull any strings or know anyone to get to enjoy a ride with the postman. 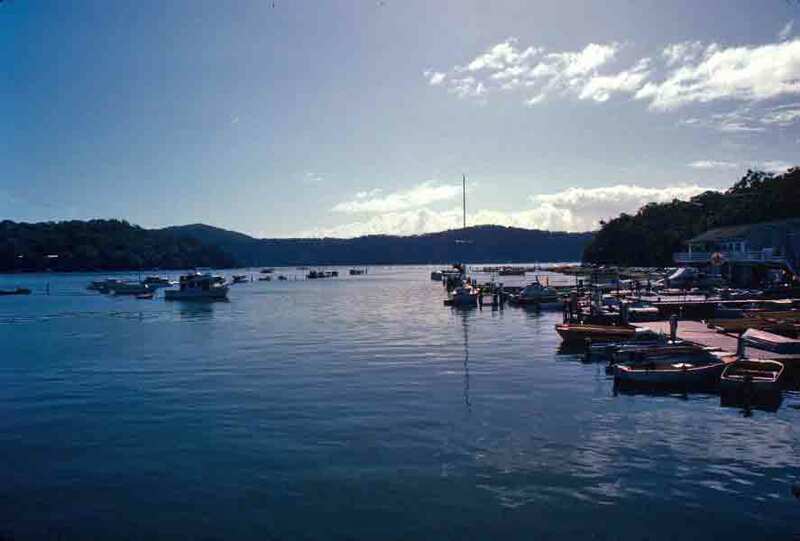 It can be arranged online or at any New South Wales Tourist Office. It was at the NSW Tourist Office that I not only booked my ride, but first learned of the riverboat postman. Below, the three photos hardly do justice to the area’s beauty or the extent of the trip. However, I hope they at least suggest why I — and British novelist Anthony Trollope — were charmed by the Hawksebury. I won’t bore you by repeating everything I wrote in my book about this trip, but it’s nice to be able to share a glimpse of what I saw. 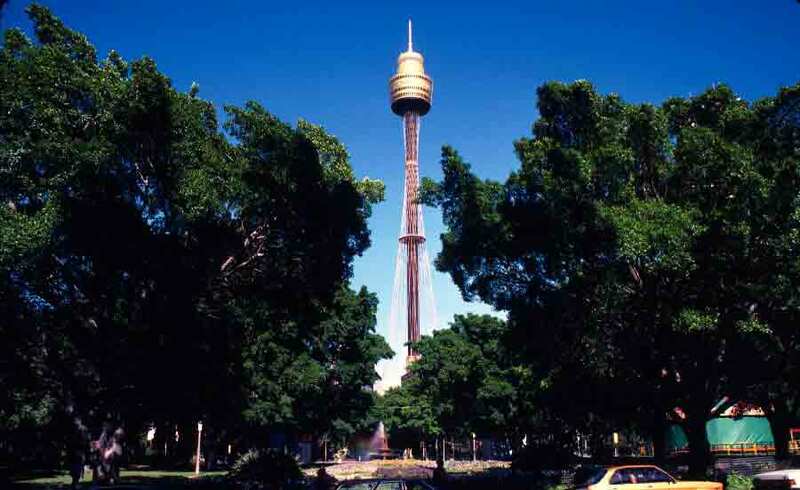 The tallest freestanding structure in Sydney is the gold-capped Sydney Tower. Also known as the Centrepoint Tower (and accessed through the Centrepoint Shopping Centre in downtown Sydney, it stands high above the surrounding buildings. In the photo in the previous post, you can see it, like a golden cork on a long needle, sticking up from the middle of the cityscape. You can see the tower from most points in the city. 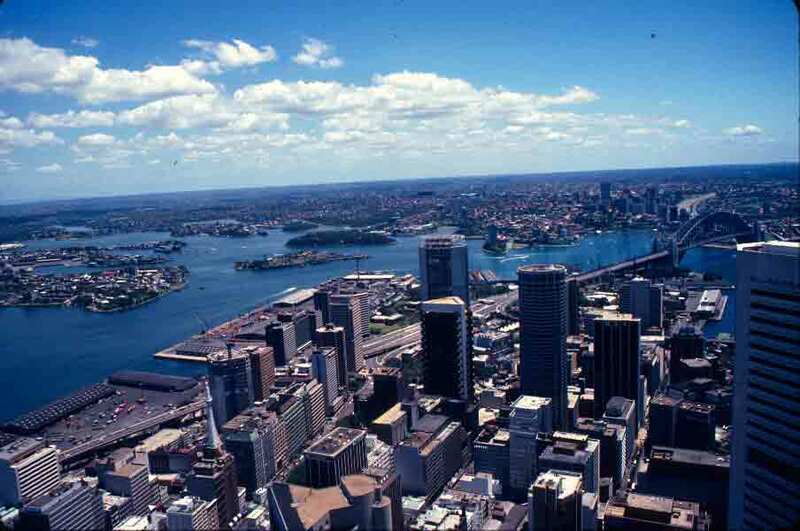 There are, as one might expect, dining options—revolving restaurants in fact—but when I visited the Sydney Tower, it was just to head for the observation deck, to take advantage of the unparalleled views out over Sydney. Fortunately, the observation deck also includes all sorts of historical information, as well as impressive statistics about the size of the structure, the safety features built in, and how far the cables that hold it in place would stretch, if it were taken apart (about 1,300 miles). 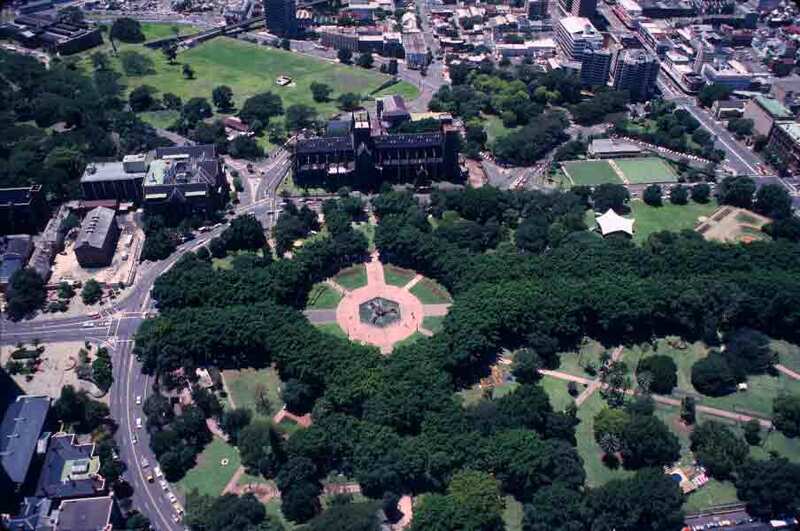 The photos below include a shot of the Sydney Tower from Hyde Park, and a couple of photos from the observation deck windows. I wouldn’t say you’d go to Australia to see the tower, but if you’re in Sydney, it’s a fun way to get a good overview of the city, its parks, and the way the city and harbor intermingle.